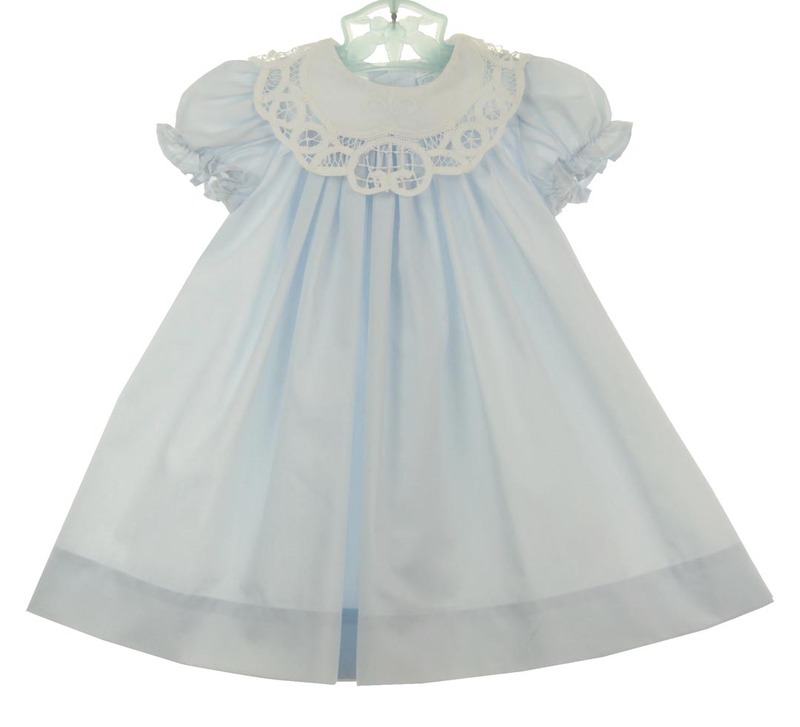 This beautiful little blue cotton blend batiste dress is made by Chabre, the upscale line of Bailey Babies, a leading manufacturer of classic children's clothing for 20 years. 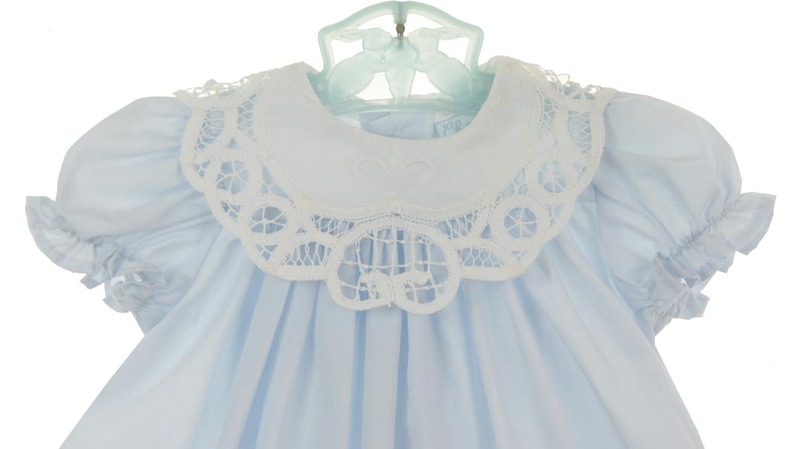 It features an exquisite round portrait collar of white cotton Battenburg lace. The tea length skirt falls in soft gathers from a high yoke. The short puffed sleeves are finished with elasticized ruffles. The dress closes in the back with small buttons. What a lovely portrait or Easter dress for your baby girl! Note: This dress runs quite large/long (nearly ankle length). You may wish to order a size smaller than usual. Note: This lovely dress is also available in some sizes in white. See below.